1. 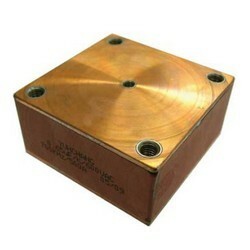 Internal fuse types or fuseless types available upon request. 2. 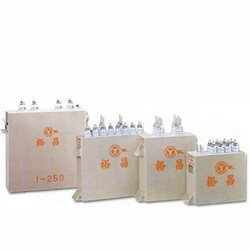 Low dissipation factor, low temperature rise, long service life. 3. 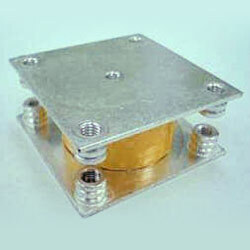 Stable capacitance with little variaion due to temperature. 1. 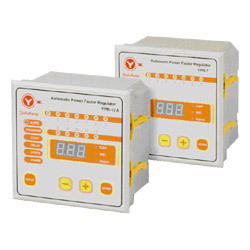 The product adopts YUHCHANG brand power factor controller, which can precisely control reactive power in power system to save energy. 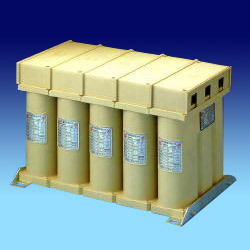 Use high-insulation plastic films and synthetic insulation oil; easy to install. 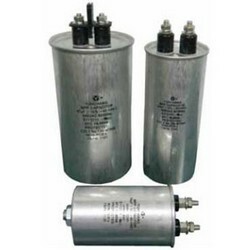 Keeps temperature syable; prolongs capacitor life. 1. 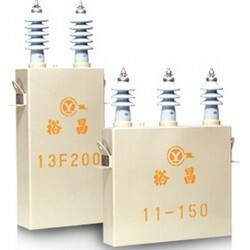 Characteristic of non-inductive has excellent absorbent capability for abnormal in-rush voltage, thus can effectively prevent switches and appliances from damage. 2. Small size, lightweight and easy installation. 1. Small size, lightweight and easy to install. 2. 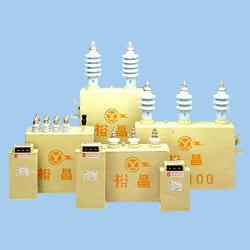 Low dissipation, low temperature rising, long life time. 3. 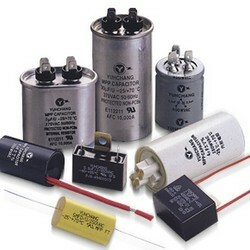 Stable static capacitance; vary little variation by temperature change. 1. Automatic / manual operation. 2. PC communication and software available. 3. Programmable margin of target PF. 4. 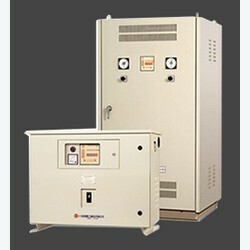 With pf abnormal alarm indicator and contact. 6. Free ck ratio setting. 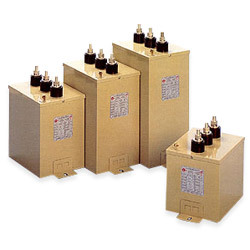 The capacitors are designed to be used in medium to high frequency induction heating power supplies. 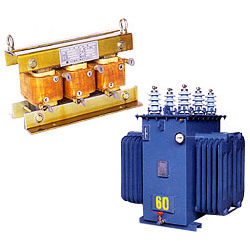 They are conduction cooled via the busbar. 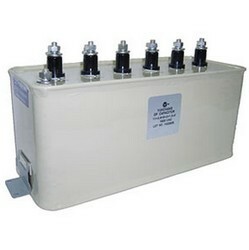 (1) Small size, light weight and easy to install. 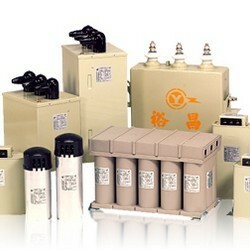 (2) Low dissipation, low temperature rising, long life time. (3) Stable static capacitance, varylittle variation by temperature change. 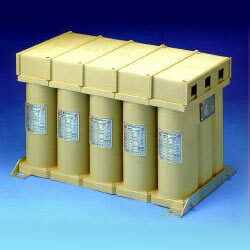 The capacitors are designed using in medium to high frequency induction heating power supplies. 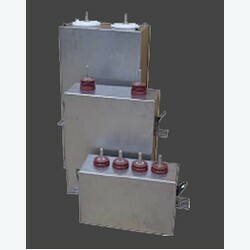 They are conduction cooled via the busbar. ◆ Dry type construction, Miniature size. 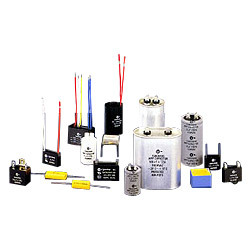 The capacitors are designed for general-purpose applications, and also for using with non-sinusoidal voltage and currents, such as resonant circuits, filtering or commutation.